A new report from the National Hydropower Association (NHA) and Chelan County Public Utility District (Chelan PUD) identifies ways in which the capabilities of hydropower in the US could be unleashed for the next 30 years. 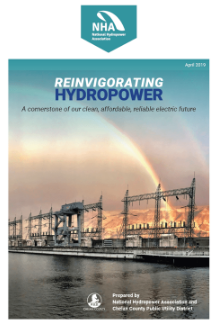 Reinvigorating Hydropower: A cornerstone of our clean, affordable, reliable electric future describes the value hydropower provides the grid and the recommended governmental and industry policies necessary to fully realize hydropower’s value. “With the adoption of equitable and smart policies, hydropower provides the best generation pathway to an affordable, reliable and clean electric power system necessary to accomplish deep, economy-wide decarbonization,” added Steve Wright, General Manager, Chelan PUD.